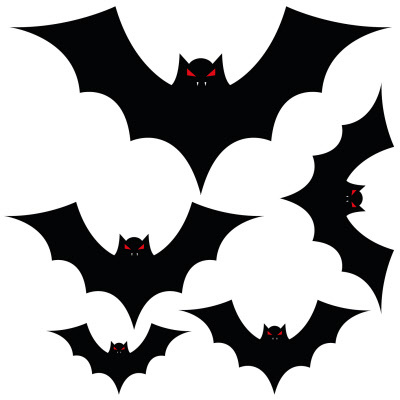 Halloween Bats, set of 5 vinyl floor stickers, ideal for shop promotions, events or home decor. 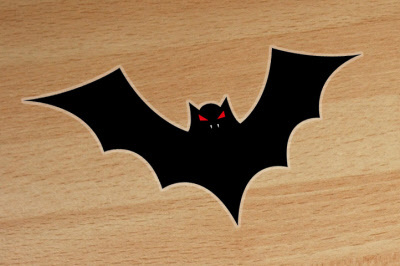 Supplied on one 300mm sheet containing 5 multiple shaped bat stickers. 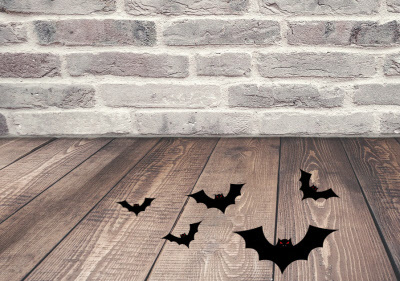 Buy 5 sheets for only £10.26 each!